Samsung brings to you the J2 2018 which comes with an array of features that are meant to provide you with the complete smartphone experience. Powered by a 1.4 GHz Quad-core Processor, this smartphone lets you play games, watch videos, and connect with your friends effortlessly on a 12.64-cm (5.0) Super AMOLED Display. Ideal for the shopaholic in you, this smartphone lets you shop with just a click using the unique visual search. 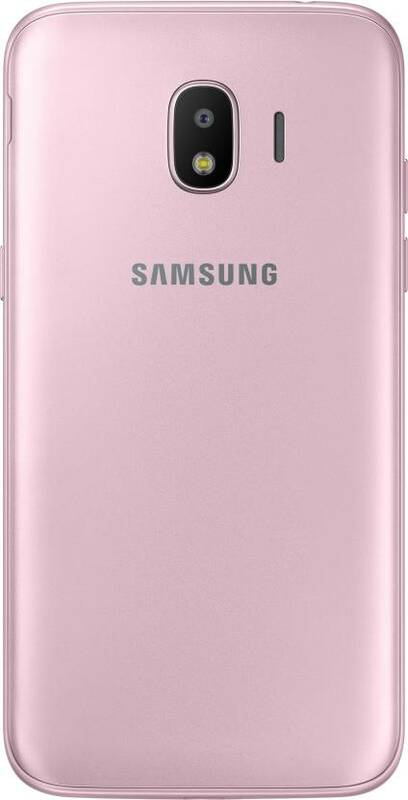 All you have to do is take a picture of the product you desire or choose one from your gallery, and Samsung Mall will provide you with all the available choices on popular online portals. The 12.64-cm (5.0) Super AMOLED qHD Display ensures vivid colours and deeper contrasts for all your content, providing you with a lifelike viewing experience. Also, the Gorilla Glass makes this sleek and compact device look stylish and elegant. The Galaxy J2 2018 is powered by a 1.4 GHz Qualcomm Snapdragon Quad-core Processor and 2 GB of RAM which provide a seamless performance while running apps and games. Also, the Device Maintenance feature ensures that you almost never run out of space by automatically storing your media from popular chat apps in the memory card. Whether you want to take pictures of a beautiful sunrise or snaps with your friends at a late night party, the 8 MP rear camera makes your snaps picture-perfect. Also, the 5 MP front camera comes with a selfie flash, so your selfies look bright and crisp even in low-light conditions. Shopping is made easier now with the Samsung J2 2018. A couple of taps on your phone is all it takes to pay for your purchases. It features a 2600 mAh battery which keeps the entertainment going on for a long period.